Here's the perfect case of reds to keep on standby throughout the Christmas holidays. If any visitors ask for a glass of red, they're guaranteed to love this selection. You've our No.1 all-time bestseller The Black Stump, a smooth, fruit-laden blend of Durif and spicy Shiraz. It's joined by the mighty old-vine Garnacha El Bombero, and the cherry-soft Italian charmer Il Papavero. 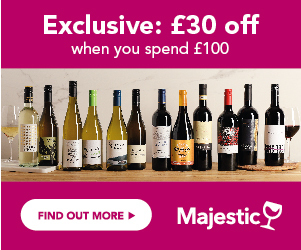 A winning selection for £6.99 a bottle - order now. Sorry, we don't have any reviews of Festive Favourites Reds Case yet. If you've bought it, why not tell us what you think below? Waiting for a good deal on Festive Favourites Reds Case? Enter your email address below and we will email you when it's on offer at 25% off or more! The Wines Direct Price Alert is a free service. In return, we just ask you to write a short review of Festive Favourites Reds Case to help other customers learn about it.